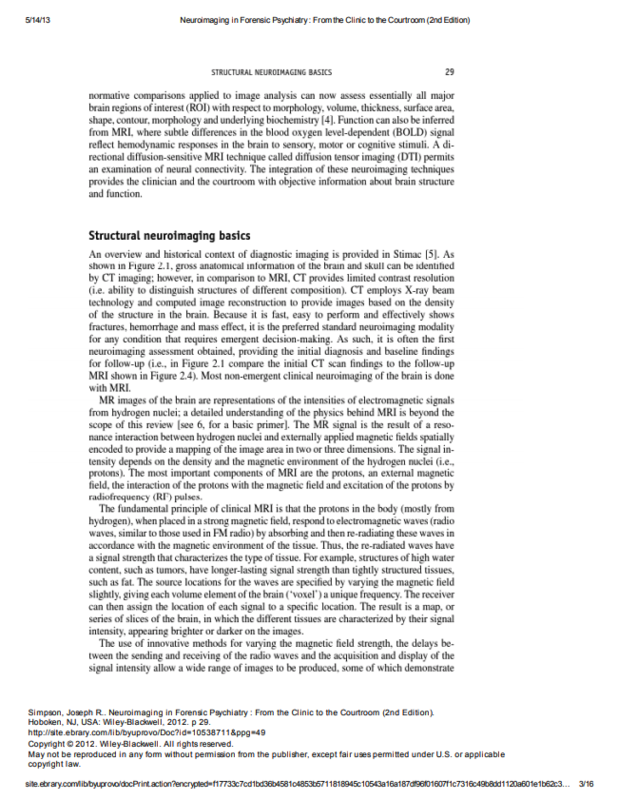 In this article the basics of CT and MRI are reviewed, with an emphasis on MRI, including quantitative methods used to assess the integrity of brain structure. 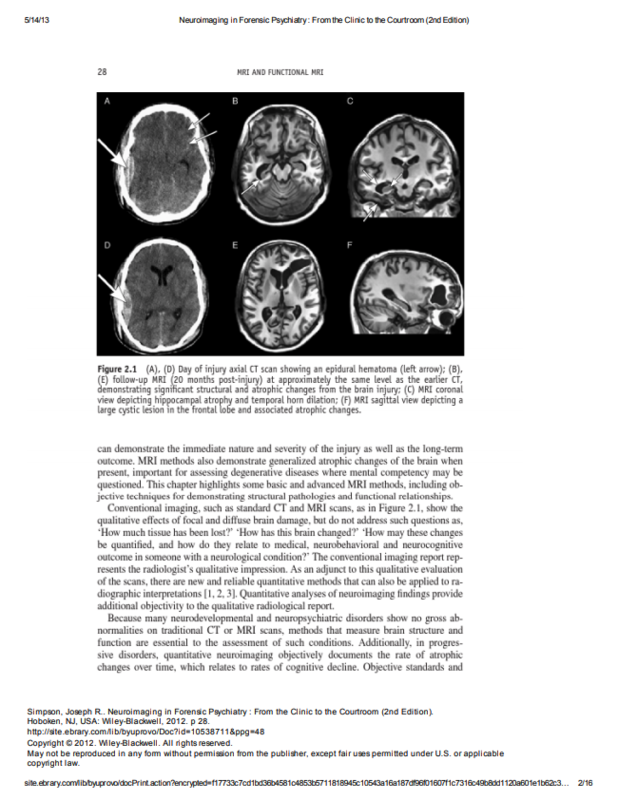 In 2012, we published an article on MRI and Functional MRI (now fNCI) in Neuroimaging and Forensic Psychiatry: From the Clinic to the Courtroom. 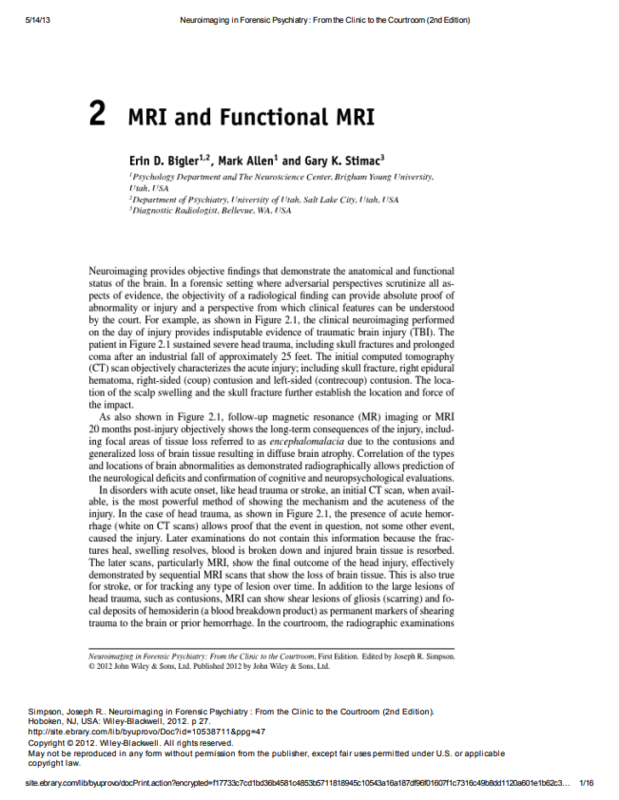 The value of using Functional MRI to objectively diagnosis a Head Injury. 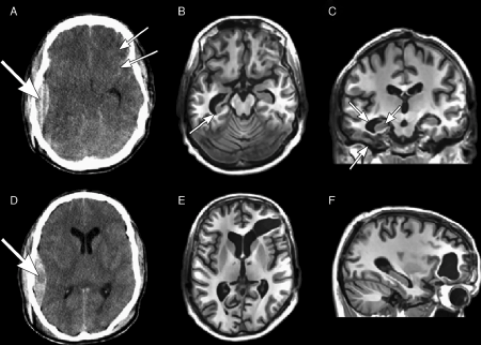 The importance of clinical interpretation and findings using adapted fMRI technology. The importance of reviewing both anatomical and functional status of the brain after an injury. 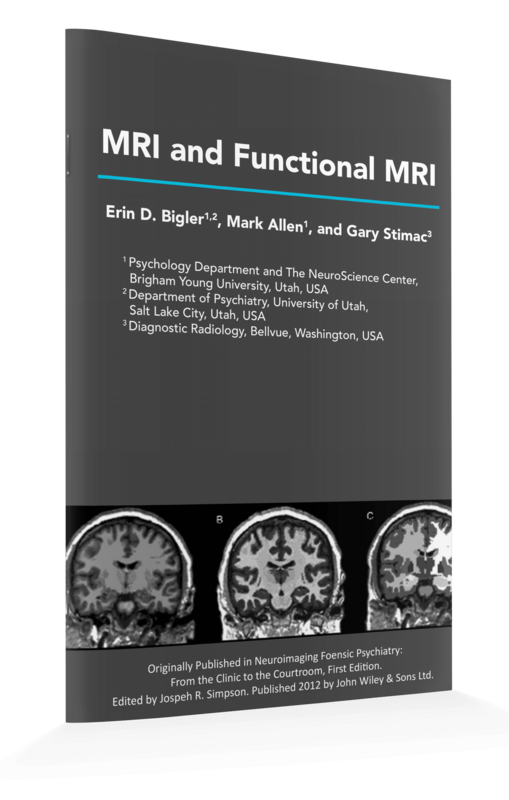 This research is pivital in our understanding of Functional MRI (fMRI now fNCI) and its role in diagnosing and helping therapists and doctors to direct concussion treatment. Simply fill out the form to get your copy!